Our photo studio provides high quality photo restoration, printing and photo enlargement services in Orlando, FL. 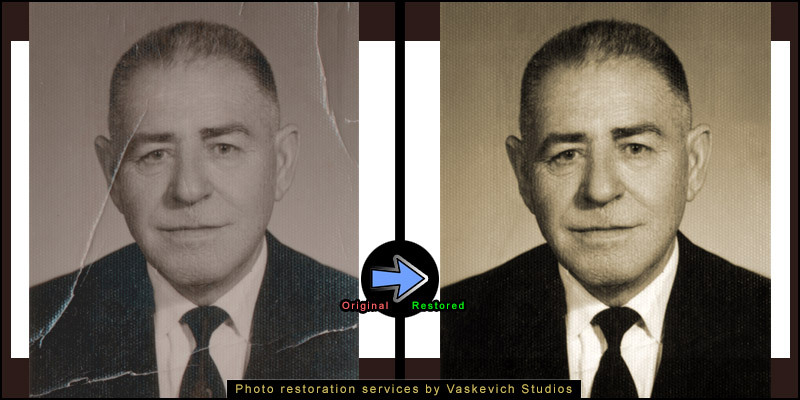 All photo restoration services are done on premises and our customers’ photo materials remain at our studio at all times. For same day photo restoration and repair services email or call our Orlando Orange County location at (407) 610-2451 for same-day service availability..
To provide exceptional printed photo restoration service, we utilize high quality film and photo scanning equipment to digitize photographs and then with help of advanced digital picture restoration tools and decades of professional photo studio expertise to bring old photos back to life. Once the photographs are scanned and restored, we can reprint the photos, and make photo enlargements from a newly created digital photo masters to last a lifetime. For photo restoration service email or call our Orlando Orange County location at (407) 610-2451 for same-day service availability. 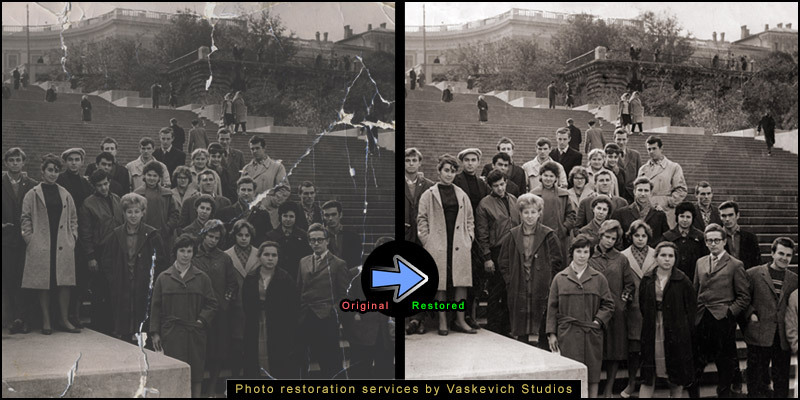 Most of the photo repair and restoration services are done on the same day. We can provide express photo damage repairs that do not require extensive restoration while you wait. 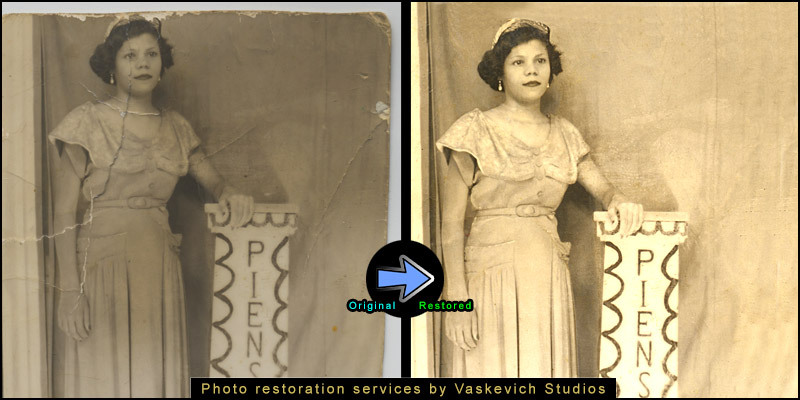 Repaired photographs are reprinted in-studio for all express photo restoration service orders. In-studio photo copy services are also available for batch photo restoration and reprinting orders. If you have questions regarding photo restoration and printing services or would like to schedule an appointment email or call our Orlando Orange County location at (407) 610-2451 for same-day service availability. The faded picture’s content is digitally painted and enhanced to re-create continuity of details that are lost due to defects in printed original, physical damage due to improper photo handling and the age of a photograph. Repairing and fixing the damage from the creases, folds, scratches and tears can be an extensive process. 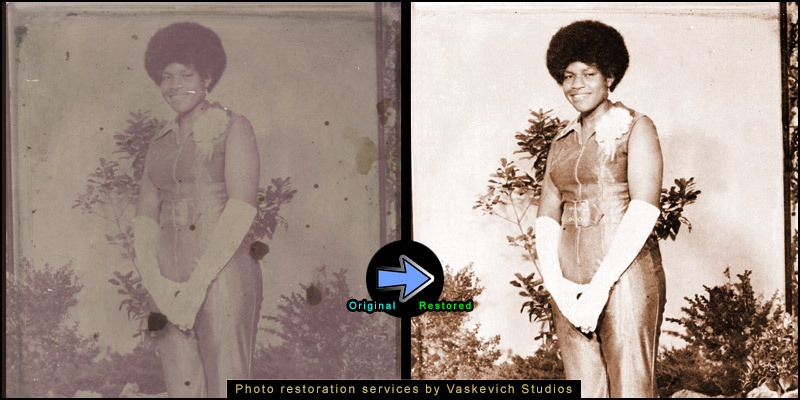 All services pertaining to photo processing, restoration and damage repair are done on premises, and we’re able to provide express same day service. 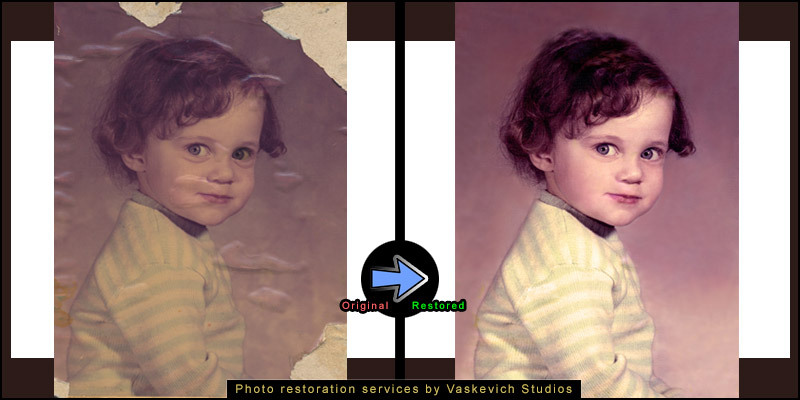 To inquire about our picture repair and photograph restoration services please email or call our Orlando Orange County location at (407) 610-2451 for same-day service availability.